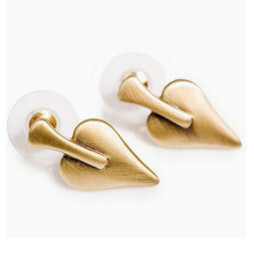 Danon Jewellery Bronze Signature Heart Drop Earrings. 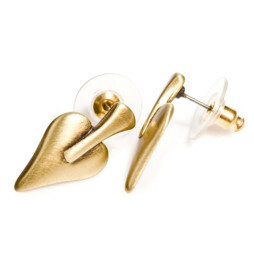 We love the stunning new Danon Bronze Signature Heart Shaped Drop Earrings from Danon Jewellery. 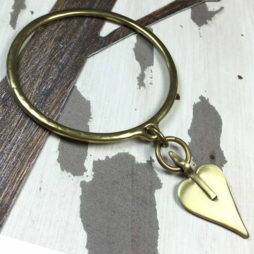 Featuring the beloved Danon signature heart in bronze on a bronze hoop and hook. 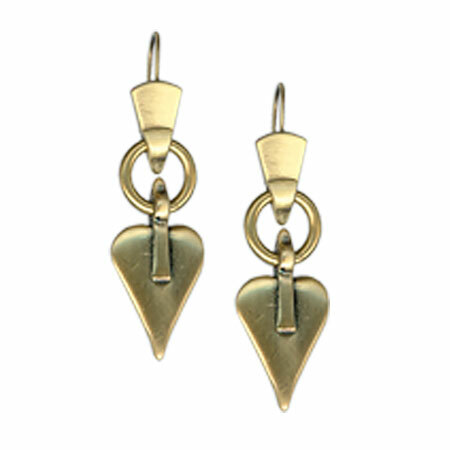 This pair of Danon Silver Earrings have a 5.2cm drop and the signature heart measures 2.8cm long by 2.5cm wide. 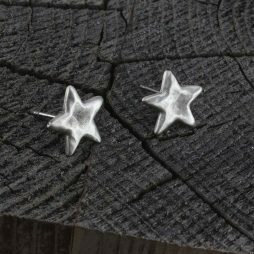 Danon earrings make beautiful and unique gifts for women who desire classic high quality costume jewellery. 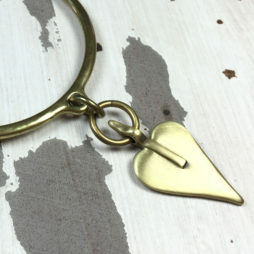 Belonging to the Danon Signature Heart Collection this pair of Danon Bronze Signature Heart Shaped Drop Earrings look amazing when worn together with other pieces from our range to include the Danon Bronze Mini Heart Necklace and the Danon Bronze Large Heart Bangle. Josef Danon initially created Danon Jewellery in the mid 70’s in Tel Aviv, Israel. From a tiny family run workshop they have actually received appeal and their statement jewellery is now sought after throughout the world. 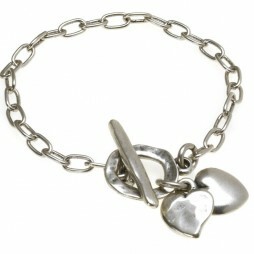 They are experts in a single component: creating jewellery as well as products that people today need. Still made in Israel by Danon, their attention to fine detail along with style is what makes their jewellery so exceptional and popular. Being fashionable, attractive and fascinating, Danon’s styles are incredibly wearable and also very reasonably priced – Evidence that the best craftsmanship need not cost the planet. Danon Jewellery is synonymous with the most desirable design along with high quality that is simply charming. 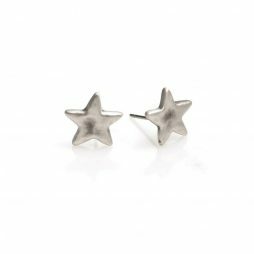 They have over time created collections that together with making use of the most recent and up to date manufacturing processes, have all been finished by hand to provide each item a originality that we have come to associate with Danon and their Jewellery. 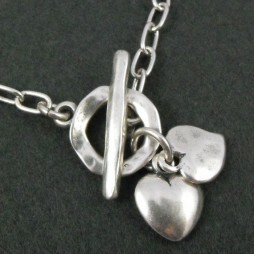 Danon Jewellery, Danon Earrings, Danon Signature Heart Collection, Gift Ideas, Gifts £20 - £40, Earrings.